Forget Mathew Street. 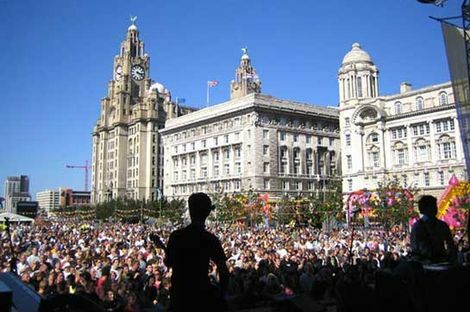 There’s a feast of original talent across Liverpool during the Bank Holiday. Getintothis invites one of the curators behind Liverpool Fringe Festival to pick their top aural pleasures. 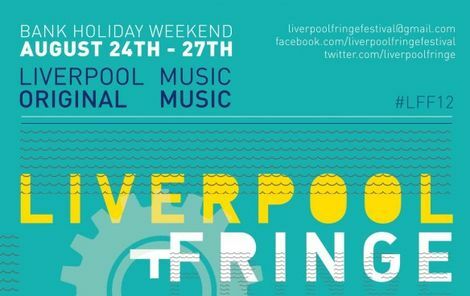 As we established last week, there’s plenty going down in Liverpool over the course of the Bank Holiday – and thanks to the organisers of Liverpool Fringe Festival 2012 much of it is completely free. 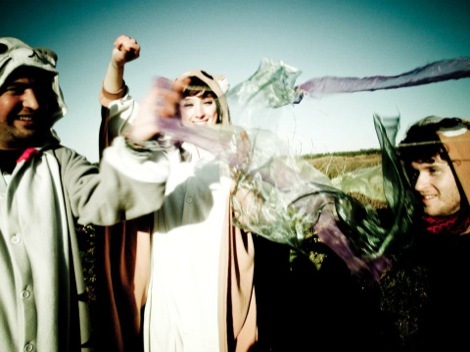 So Getintothis asked Anti Pop Records and Liverpool Fringe Festival 2012 organiser, Alec Joyce to sift through and pick some choice cuts from across the 18 venues taking part. There’s a comprehensive listings of all the gigs here, but in the meantime, feast on Alec’s selection. Bobby, Sam and Paul are the best dressed rock and roll band in existence. Bluesy riff makers who don’t stop smiling. It’s like The Who rhythm section with Chuck Berry on guitar. Saturday August 25 at Lomax. It will be worth the effort to walk just to the outskirts of town to witness the delights of the Wolf Social, Elevator Bar‘s own monthly music, video and social event. This month features enigmatic sprightly folk pop trio Ratty Little Fingers (main image) who feature in a cracking line up with Getintothis tips All We Are, Bird, Fieldhouse and Sloe Panda. Sunday August 26 at Elevator. Scare Tactics were this years winners of Battle of Bloodstock and performed at one othe largest heavy metal festivals in the UK. Scare Tactics play alongside another great Liverpool band Oceanis at Zanzibar, Friday August 24. Paul Straws is a gifted singer songwriter and with his newly assembled backing band, his gig at Brink gives us a chance to hear new material from an exciting talent on Sunday August 26. The Probes are a new, largely unknown quantity who specialise in speedball riffs and excessive entertainment played at breakneck speed. They feature alongside a superb line-up of The Temps and Dirtblonde at Baa Bar on Monday August 27. Full details here. 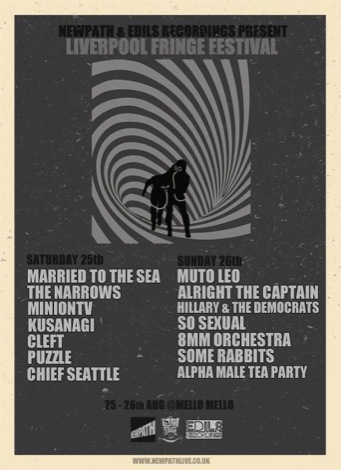 Kusanagi are an instrumental post-rock band and their set, part of the Newpath and Edils Festival at Mello Mello on Saturday and Sunday August 25 and 26 will surely be stuff of awe. Powerful and emotive, techincal and energetic. Threshold Festival presents one of the best acts from this year’s Liverpool Fringe Festival, The Fifth Movement. Fronted by the talented Kevin Critchley, this five piece blend film music with rock and world music. They play Saturday August 25 at Studio 2. Fire Beneath The Sea MCs play at The Attic on Saturday August 25 as part of the Rebel Soul Kung Fu Hip-Hop event. Fire Beneath will amaze with wordsmith skills while TV Lux splashes images of Kung Fu classics across the walls of one the coolest of loft venues in the city. Editor’s note: Get involved in the Attic’s burgers. They’re serious business. Old school city punk rockers, Biteback, emerge featuring members of previous city favourite’s Instant Agony. Armed with a new record and more bite than bark as they play the Antipop Punk and Ska gig at The Pilgrim on Saturday August 25.